wow! it's like a kid entering the candy shop! The Pittsburgh Penguins hope to become the first team to win three straight Stanley Cup championships since the New York Islanders won four in a row from 1980-1983, but it won't come easy in the tough Metropolitan Division, where four of the eight teams (Penguins, Washington Capitals, Columbus Blue Jackets, New York Rangers) finished among the top nine in the NHL standings last season. The Carolina Hurricanes and New York Islanders are two non-playoff teams from last season that look ripe for a turnaround. The line of Sebastian Aho, Jeff Skinner and Elias Lindholm brings excitement in Carolina, and Jordan Eberle could provide John Tavares the wingman he has needed for the Islanders. In addition, rookie centers Nico Hischier (New Jersey Devils) and Nolan Patrick (Philadelphia Flyers) each should give his team added offensive life and help it challenge the Penguins, whose 111 points were second to the Presidents' Trophy-winning Capitals (118). Team to beat: Pittsburgh assumes this title until further notice. The Penguins have the personnel and drive to win it all again, but coach Mike Sullivan will have to overcome losses in free agency and the 2017 NHL Expansion Draft (Marc-Andre Fleury, Chris Kunitz, Nick Bonino, Matt Cullen, Trevor Daley). He also needs his core players (Sidney Crosby, Phil Kessel, Evgeni Malkin, Kris Letang) to remain healthy. Dark horse: The Hurricanes haven't qualified for the playoffs the past eight seasons, but that streak could end behind a stout defense that includes Justin Faulk, Noah Hanifin, Brett Pesce and Jaccob Slavin. Goalie Scott Darling, acquired in a trade from the Chicago Blackhawks on April 28, will assume the No. 1 role. Skinner remains an elite goal-scorer, Lindholm, Teuvo Teravainen and Victor Rask should produce, and Aho, who ranked third in goals among rookies last season (24), will help provide a balanced attack. Stock rising: Jake Guentzel, Penguins. He is poised to continue his meteoric rise after leading the League with 13 playoff goals in 25 games as a rookie. He led the Penguins with nine points (three goals, six assists) in four preseason games and is set start the regular season at left wing alongside Crosby on the top line. Player to watch: Mika Zibanejad, Rangers. The 24-year-old begins the season as New York's first-line center after Derek Stepan was traded to the Arizona Coyotes on June 23. Zibanejad, who agreed to terms on a five-year, $26.75 million contract July 25, had 37 points (14 goals, 23 assists) in 56 games last season but missed 25 games with a broken leg. Expected to play between left wing Chris Kreider and either Mats Zuccarello or Pavel Buchnevich, he could surpass his NHL career-high 21 goals with the Ottawa Senators in 2015-16. Rookie to watch: Nico Hischier, Devils. The No. 1 pick in the 2017 NHL Draft has solidified a spot in New Jersey after an impressive preseason when he had seven points (four goals, three assists) in four games. He didn't seem intimidated or out of place at center, and battled in the corners and in front of the net while making it miserable for opposing players looking to take him off his game. The new guy: Artemi Panarin, Blue Jackets. The left wing will challenge linemate Cam Atkinson for Columbus scoring lead; Atkinson has led the Blue Jackets in scoring the past two seasons. Panarin, acquired in a trade from the Blackhawks on June 23, is ninth in the NHL with 151 points in the past two seasons and has 41 power-play points (17 goals, 24 assists) in 162 NHL games. Who will make playoffs: There's a good possibility five teams from the Metropolitan could qualify: the Penguins, Blue Jackets, Capitals, Rangers and Hurricanes. The Tampa Bay Lightning are hoping the return of center Steven Stamkos along with the play of forward Nikita Kucherov and defenseman Victor Hedman can help them return to the Stanley Cup Playoffs and make a deep run like they did in 2015-16 (Eastern Conference Final) and 2014-15 (Stanley Cup Final). However, it won't be easy. The Montreal Canadiens (Carey Price) and Boston Bruins (Tuukka Rask) can never be counted out because of their goaltending. The Ottawa Senators and Toronto Maple Leafs each are hoping to build on their success coming off a surprising postseason run. The Florida Panthers (Bob Boughner) and Buffalo Sabres (Phil Housley) each have a new coach, and the Detroit Red Wings look to start a new playoff streak at their new home (Little Caesars Arena) after missing out for the first time in 26 seasons. Team to beat: The Lightning finished one point behind the Maple Leafs for the second wild card into the playoffs from the Eastern Conference. They played most of the season without Stamkos, who missed the final 65 games but had 20 points (nine goals, 11 assists) and was fourth in the League in scoring before tearing the lateral meniscus in his right knee Nov. 15. Kucherov tied for second in the NHL in goals (40) and fifth in points (85), and Hedman had 72 points, second in the League among defensemen. Tampa Bay also signed forward Chris Kunitz, a four-time Stanley Cup champion, to a one-year contract. Kunitz is among the depth players who can contribute and help make the Lightning Cup contenders again. Dark horse: The Sabres haven't qualified for the playoffs since 2010-11, the longest stretch in the division. Housley should help the defense, which added Marco Scandella in a June 30 trade with the Minnesota Wild that also brought forward Jason Pominville back to Buffalo. The Sabres are counting on a healthy Jack Eichel (24 goals, 33 assists in 61 games last season; missed 21 games with an ankle injury) and forwards Evander Kane (28 goals), Ryan O'Reilly (20) and Kyle Okposo (19) to provide the bulk of the offense in front of goalie Robin Lehner (.920 save percentage). The playoffs may be a bit of a stretch, but Buffalo should see an improvement in the standings after finishing last in the division. Stock rising: Evgenii Dadonov, Panthers. After spending the past five seasons in the Kontinental Hockey League, Dadonov returned to Florida, where he played from 2009-12 (10 goals, 10 assists in 55 games). Dadonov agreed to a three-year contract reportedly worth $12 million July 1 and will start the season on the top line with Jonathan Huberdeau and Aleksander Barkov. Dadonov had 66 points (30 goals, 36 assists) in 53 games with SKA St. Petersburg last season. Player to watch: Jonathan Drouin, Canadiens. Big things are expected this season after Drouin was traded from the Lightning on June 15 and signed a six-year contract reportedly worth $33 million ($5.5 million average annual value) with Montreal. The 22-year-old, who was the No. 3 pick in the 2013 NHL Draft, had an NHL career-high 53 points (21 goals, 32 assists), including 26 on the power play, last season. He will be expected to match or surpass those totals in Montreal. Drouin, who will move from wing to center, will play on the top line between Max Pacioretty and Brendan Gallagher. Rookie to watch: Charlie McAvoy, Bruins. The 19-year-old has yet to play in an NHL regular-season game but had three assists in six playoff games last season. He was second on the Bruins in total ice time (157:09) and ice time per game (26:11), and could be a top-pair defenseman this season. McAvoy, the No. 14 pick in the 2014 NHL Draft, also is expected to compete for the Calder Trophy. The new guy: Patrick Marleau, Maple Leafs. After spending the first 19 seasons of his NHL career with the San Jose Sharks, the 38-year-old signed a three-year, $18.75 million contract ($6.25 million average annual value) with Toronto on July 2. Marleau scored 27 goals last season and has more than 20 goals in seven of the past eight full NHL seasons. Expected to play on the third line, Marleau will provide veteran leadership and additional offense, and could have another strong season playing with some of the Maple Leafs' young core. Who will make playoffs: The Lightning will win the division and return to the playoffs after a one-year absence. They will be joined by three teams that qualified last season: the Maple Leafs, Canadiens and Bruins, who get in as a wild card. The Senators, who came within one goal of the Stanley Cup Final in 2017, will miss out. The Central Division has produced either the Stanley Cup champion or the runner-up three times in the past five seasons. Most of the seven teams in the division believe they can continue that dominance this season. The Nashville Predators defied the odds last season by making it to the Stanley Cup Final after making the playoffs as the second wild card from the Western Conference. They return almost intact, except with Nick Bonino replacing the retired Mike Fisher as the No. 2 center. The Chicago Blackhawks, who have won the Stanley Cup three times since 2010 and finished first in the division last season (109 points), went through some major changes in the offseason, leaving many to question their ability to stay in the hunt for the Cup. The St. Louis Blues' optimism about building on their 99 points last season has been tested in the preseason by several key injuries, including to forward Robby Fabbri, who was supposed to transition to center but is out for the season after re-injuring his surgically repaired left knee. The Minnesota Wild think they can contend for the division title after finishing second last season (109 points). They are looking for continued growth from forwards Charlie Coyle, Mikael Granlund, Nino Niederreiter and Jason Zucker. They're all 25 years old now. They're veterans. The Dallas Stars and Winnipeg Jets each believe they have the goods to make the playoffs this season after missing in 2016-17. The Stars made significant changes in the offseason that are major upgrades after they were 29th in the NHL in goals-against per game last season (3.17). The Jets are hoping the addition of goaltender Steve Mason will help solve the issues they've had in keeping the puck out of the net (3.11 goals-against per game last season, 27th). The Colorado Avalanche are hoping to defy the critics, most of whom are picking them to finish last in the division. Team to beat: Tough call, but it's hard to go against the Predators, considering what they did last season and who they have returning. They got to the Cup Final last season even after losing No. 1 center Ryan Johansen and top-six forward Kevin Fiala to injury. Each is back. Nashville won't have defenseman Ryan Ellis (knee) for the first few months, but it still has one of the best defense groups in the League. Dark horse: The Stars brought in Ken Hitchcock as their new coach, Ben Bishop as their new No. 1 goalie and Marc Methot to play on the top defense pair with John Klingberg. In addition, forwards Alexander Radulov and Martin Hanzal were signed to bolster a group led by elite talents Jamie Benn and Tyler Seguin. Stock rising: Nick Schmaltz, Blackhawks. Schmaltz has made enough of an impression in the preseason that he is slotted to start the season as Chicago's second-line center with Patrick Kane on his right wing. Player to watch: Jonathan Toews, Blackhawks. Toews dropped to an NHL career-low 21 goals last season and hasn't reached 60 points since 2014-15, which also was Brandon Saad's last season in Chicago before he was traded to the Columbus Blue Jackets. Saad is back. If Toews and Saad rekindle the chemistry they had before Saad was traded, Toews could return to being the player who pushes for 30 goals and 70 points without sacrificing anything on the defensive end. Rookie to watch: Joel Eriksson Ek, Wild. Eriksson Ek, 20, will begin the season as Minnesota's No. 3 center behind Mikko Koivu and Eric Staal. The hope is Eriksson Ek, who had seven points (three goals, four assists) in 15 games last season, will bring a jolt of offense to the third line. The new guy: Ben Bishop, Stars. Dallas had the worst goaltending in the NHL last season with Kari Lehtonen and Antti Niemi combining for an .898 save percentage. Enter Bishop, who has an NHL career .919 save percentage and finished third in Vezina Trophy voting in 2014-15 and second in 2015-16. The Stars signed Bishop to a six-year, $29.5 million contract ($4.917 million average annual value). Niemi's contract, which will pay him $3 million over the next two seasons, was bought out by the Stars. He's now the backup with the Pittsburgh Penguins. Who will make playoffs: The consensus of the NHL.com staff predictions have Chicago, Nashville, Minnesota and St. Louis in the playoffs. This might be the toughest division to predict, so keep in mind that the science on this might be off. If last season were any indication, it could be another tight race between the Anaheim Ducks and Edmonton Oilers for supremacy in the Pacific Division. The Ducks have finished atop the division for the past five seasons and held off a serious challenge by the Oilers in 2016-17, winning by two points (105-103). "This is a tough league and there's no free ones," Ducks coach Randy Carlyle said. "[Whoever wins is] going to have to earn it. " Working against the Ducks will be the prolonged absence of center Ryan Kesler, a Selke Trophy finalist as the best defensive forward in the NHL last season. Kesler had hip surgery June 8, and the hope is he returns by Christmas. There is plenty of optimism in Alberta, starting with the Oilers, who improved last season by 33 points, and presumably the best is yet to come from center Connor McDavid, the reigning Hart Trophy winner as NHL MVP, and forward Leon Draisaitl. Edmonton is looking to win a division title for the first time since 1987, when it played in the Smythe Division and was led by center Wayne Gretzky. The Calgary Flames continued their search for answers in goal, revamping the position by bringing in Mike Smith, and reportedly filled another need, bolstering their top-nine forward group by agreeing to a one-year contract with 45-year-old Jaromir Jagr on Monday. The Los Angeles Kings feature a new look behind the bench, with coach John Stevens replacing Darryl Sutter. But many of the same pieces remain from the 2012 and 2014 Stanley Cup championship teams, including defenseman Drew Doughty, center Anze Kopitar and goaltender Jonathan Quick. The San Jose Sharks will be pressed to continue their regular-season consistency. They have missed the playoffs once since the 2002-03 season (2015) and will rely heavily on their usual suspects, including forwards Joe Pavelski, Logan Couture and Joe Thornton, Norris Trophy-winning defenseman Brent Burns, and shut-down defenseman Marc-Edouard Vlasic. The Vancouver Canucks and Arizona Coyotes each are in the midst of ambitious rebuilds, proceeding at varying paces. All eyes at the start will be on the League's 31st team, the expansion Vegas Golden Knights and the face of the franchise, goaltender Marc-Andre Fleury, who won three Stanley Cup championships with the Pittsburgh Penguins. Team to beat: The Oilers look to take a big step forward after coming within one win of reaching the 2017 Western Conference Final, when they lost to the Ducks in Game 7 of the second round. McDavid, who had 100 points (30 goals, 70 points) to win the NHL scoring title in his second NHL season, is only getting better, and goaltender Cam Talbot deftly handled a sizable workload, going 44-22-8 in a League-leading 73 starts. Dark horse: The rebuild accelerated for the Coyotes when they acquired a No. 1 center (Derek Stepan) and No. 1 goaltender (Antti Raanta) in a trade from the New York Rangers on June 23 for defenseman Anthony DeAngelo and the No. 7 pick in the 2017 NHL Draft. Arizona is attempting to get back in the playoffs for the first time since 2012. Stock rising: Tomas Hertl, Sharks. Departures create opportunities. Hertl might end up benefiting the most from the departure of forward Patrick Marleau, who signed a three-year, $18.75 million contract with the Toronto Maple Leafs on July 2. Hertl, 23, could fill Marleau's spot on what has been the most set power-play unit in the League over the past five seasons. Injuries limited Hertl to 49 games in 2016-17, when he had 22 points (10 goals, 12 assists), but now he has the chance to play important minutes. Player to watch: Mike Smith, Flames. The goaltending merry-go-round keeps spinning in Calgary. The Flames acquired Smith in a trade from the Coyotes on June 17 for goalie Chad Johnson, defenseman prospect Brandon Hickey and a conditional third-round pick. The burning question: Can a 35-year-old who was 19-26-9 with a 2.92 goals-against average and .914 save percentage last season be the answer? Rookie to watch: Clayton Keller, Coyotes. Fans received a sneak preview when the 19-year-old forward had two assists in three games for Arizona at the end of last season. Keller, the No. 7 pick in the 2016 NHL Draft, had a stellar preseason with eight points (three goals, five assists) in four games, and the Coyotes are showing faith in putting him on a line with Stepan and Max Domi. The new guy: Thomas Vanek, Canucks. After spending the first seven seasons of his NHL career with the Buffalo Sabres, Vanek has turned into a man on the move. The Canucks are his fourth team in the past three seasons. But the 33-year-old forward can score (15 goals in 48 games for the Detroit Red Wings last season before being traded to the Florida Panthers on March 1) and can provide the Canucks what they need -- scoring and someone who might find chemistry playing with center Henrik Sedin and forward Daniel Sedin. Who will make the playoffs: Just a slight reshuffling from last season: Edmonton, Anaheim and Calgary get in again, with Los Angeles making a return after failing to qualify in 2016-17. The 2017-18 NHL season begins with four games Wednesday. There are storylines aplenty to follow in a League that now consists of 31 teams with the addition of the Vegas Golden Knights. Last season, the Pittsburgh Penguins became the first team to repeat as Stanley Cup champions since the Detroit Red Wings in 1997-98. This season, they will try to become the first team to win the Stanley Cup three straight seasons since the New York Islanders won four in a row from 1980-83. No team has made it to the Stanley Cup Final in three consecutive seasons since the Islanders' dynasty years. The Penguins begin their journey against the St. Louis Blues at PPG Paints Arena on Wednesday (8 p.m. ET; NBCSN). The debate rages in the NHL. Is 30-year-old Penguins center Sidney Crosby still the best player in the world, or has Edmonton Oilers center Connor McDavid, 10 years Crosby's junior, taken the title? It's possible this season could give us a more definitive answer. McDavid won the Hart Trophy as NHL MVP last season after winning the Art Ross Trophy with 100 points. Crosby won the Rocket Richard Trophy last season with 44 goals. The Golden Knights will become the first major professional franchise (NHL, NBA, NFL or MLB) to play a regular-season home game in Las Vegas when they host the Arizona Coyotes at T-Mobile Arena on Oct. 10 (10 p.m. ET; NBCSN). The Golden Knights will play their first game at the Dallas Stars on Friday (8:30 p.m. 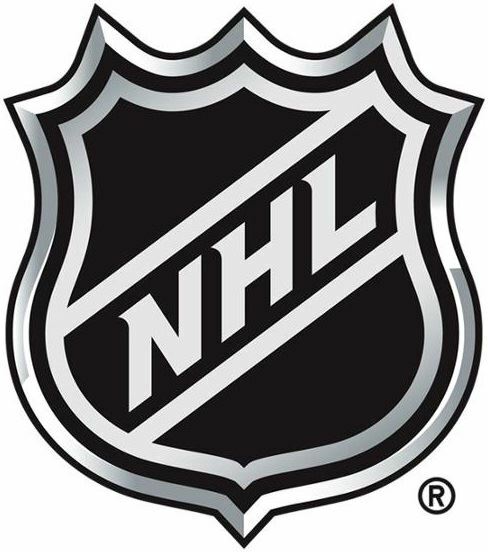 ET; NHLN, SN360, TVA Sports, FS-SW, ATTSN-RM, NHL.TV). Nico Hischier and Nolan Patrick, the top two picks in the 2017 NHL Draft, are out to make a splash. Hischier, the No. 1 pick to the New Jersey Devils, and Patrick, No. 2 to the Philadelphia Flyers, each should be playing in a top-six role in his NHL debut. Patrick will make his against the San Jose Sharks at SAP Center on Wednesday (10:30 p.m. ET; NBCSN). Hischier will make his against the Colorado Avalanche at Prudential Center on Saturday (2 p.m. ET; SN, MSG+, ALT, NHL.TV). The officials will be cracking down on slashes to the hands this season to reduce the potential for injury and allow players to control the puck better and make more skilled plays. Stephen Walkom, NHL senior vice president and director of officiating supervision, said the push for vigilant enforcement of the rule came from owners, general managers, players and officials. New York Islanders center John Tavares is playing out the final season of his contract. Without an extension, he will become an unrestricted free agent July 1. The Islanders hope to sign Tavares to a new contract, and Tavares has remained steadfast in his desire to stay in New York. Tavares also said he has no issue negotiating during the season. Nov. 15. That was the last time Tampa Bay Lightning captain Steven Stamkos played in an NHL game that counted. He is ready to go for the Lightning's season opener against the Florida Panthers at Amalie Arena on Friday (7 p.m. ET; FS-O, MSG+, NHL.TV). He missed the final 65 games last season with a knee injury that required surgery and has played in 18 of the past 99 Lightning games. He missed all but the last game of the Lightning's run to the 2016 Eastern Conference Final because he was trying to come back from surgery for thoracic outlet syndrome. The NHL wants officials to strictly enforce the penalty for a face-off violation. The consensus among League personnel, officials, GMs and players is that the integrity of the face-off has eroded with players encroaching illegally to gain an edge. Officials called 17 face-off violation penalties last season and 15 in the 2015-16 season. They called 26 in 28 preseason games from Sept. 16-20. The goal is to create fair and balanced competition for the puck on the face-off while also giving the linesman the ability to safely back away after dropping the puck. Ottawa Senators defenseman Erik Karlsson hopes to make his season debut in October after he had surgery in June to repair damage to tendons in his left foot. Karlsson skated for the first time last Wednesday and said his foot felt better than it did in the playoffs last season, when he played injured and helped Ottawa get to the Eastern Conference Final. Karlsson's game is predicated on his mobility, so whenever he returns, his skating will be watched closely to see if he's the same player he was before the surgery. The Anaheim Ducks are expected to be a Stanley Cup contender, but they'll start the season without center Ryan Kesler and defensemen Hampus Lindholm and Sami Vatanen. Kesler might be out until Christmas as he recovers from hip surgery. Vatanen and Lindholm, who each had shoulder surgery, could be back in early November. The Ducks are deep on defense with the emergence of Josh Manson and Brandon Montour. Rickard Rakell is shifting to center to replace Kesler. A two-minute minor penalty for delay of game will be the consequence when a team loses a coach's challenge for a potential offside infraction on a goal. The minor penalty replaces the loss of a timeout, which was the consequence for an unsuccessful offside challenge. A team does not need to have possession of its timeout to issue a challenge, but if unsuccessful, it will have to kill a penalty immediately after allowing the goal in question. The Toronto Maple Leafs were a year ahead of schedule last season, when they made the playoffs for the second time since 2004. The Maple Leafs, who lost to the Washington Capitals the Eastern Conference First Round, got 304 points (123 goals, 181 assists) from nine rookies, including Auston Matthews, who scored 40 goals and won the Calder Trophy. Matthews, Mitchell Marner, William Nylander, Connor Brown, Zach Hyman and Nikita Zaitseveach is back for his second season and is a big part of Toronto's core. Expectations are higher. Simply making the playoffs won't be good enough anymore. Six teams have new coaches, including three that brought in a coach with no previous experience as an NHL head coach. Phil Housley (Buffalo Sabres) and Bob Boughner (Florida Panthers) each will make his NHL coaching debut after a successful stint as an assistant. Travis Green (Vancouver Canucks) had a successful run in the American Hockey League, grooming him for his first NHL job. Ken Hitchcock (Dallas Stars), John Stevens (Los Angeles Kings) and Rick Tocchet (Arizona Coyotes) each bring some experience to their new team. Hitchcock is fourth all-time in NHL coaching wins (781). Teams will no longer be allowed to call a timeout immediately after icing the puck. The team committing an icing infraction is not allowed to change personnel except for an injury or to bring a goalie back on for an extra skater. The inability to call timeout increases the odds that it will have tired players taking a face-off in the defensive zone, something that could create more scoring opportunities for the opposition. Not only did the Montreal Canadiens acquire Jonathan Drouin in a trade from the Lightning on June 15, they signed the 22-year-old forward to a six-year contract reportedly worth $33 million. Almost doubling down on their investment, the Canadiens are transitioning Drouin to be their No. 1 center. Drouin played on the wing in his first three pro seasons, including last season, when he scored 21 goals and had 53 points in 73 games. No team aside from the Golden Knights underwent a bigger overhaul in the offseason than the Stars, who changed coaches (fired Lindy Ruff, hired Hitchcock), signed a No. 1 goalie (Ben Bishop), acquired a top-pair defenseman (Marc Methot), and signed two potential game-changing forwards (Alexander Radulov and Martin Hanzal). The Stars went from being a team on the outs to being a legitimate playoff contender. The Detroit Red Wings are starting a new era in the brand new, state-of-the-art, $863 million Little Caesars Arena this season. After 38 years in Joe Louis Arena, the dusty old barn that was home to four Stanley Cup championships and a 25-year run in the playoffs, the Red Wings are moving into their new digs this season, complete with a concourse featuring a transparent roof, a 600-foot video screen wrapping the outside of the building, LED lighting across the inside ceiling, the largest scoreboard in the NHL (5,100 square feet), more than 20,000 seats, the largest home locker room in the NHL (25,000 square feet), a full practice facility and a family lounge.